Old Fire Station #4 is under renovation to become the Madison County Fire Museum. It is located between Andersons two Fire Rescue Homes on W. 3rd street just east of Madison Ave. This Thursday, June 19, Bob Evans will donate 15% of proceeds to fund renovations. 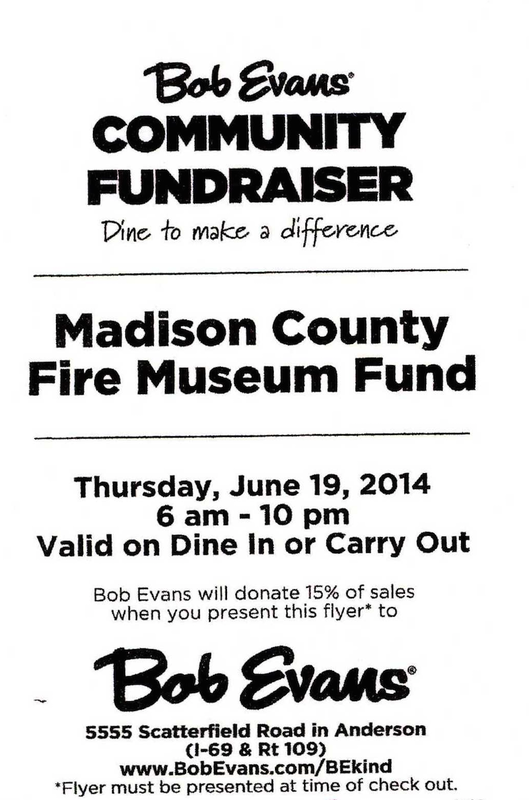 Take this coupon in with you this Thursday to Bob Evans to support your local Fire Department!